Roam amongst massive riches in High 5 Casino’s 268th game coming soon! Escape from the daily grind and venture out into the wild! Join the sunset exploration that will unleash the nature of winning as you sight some jungle animal favorites. Trust your instincts and you may just find yourself as lucky as an elephant! Discover the elephant’s cove where you will reveal tons of hidden jewels. 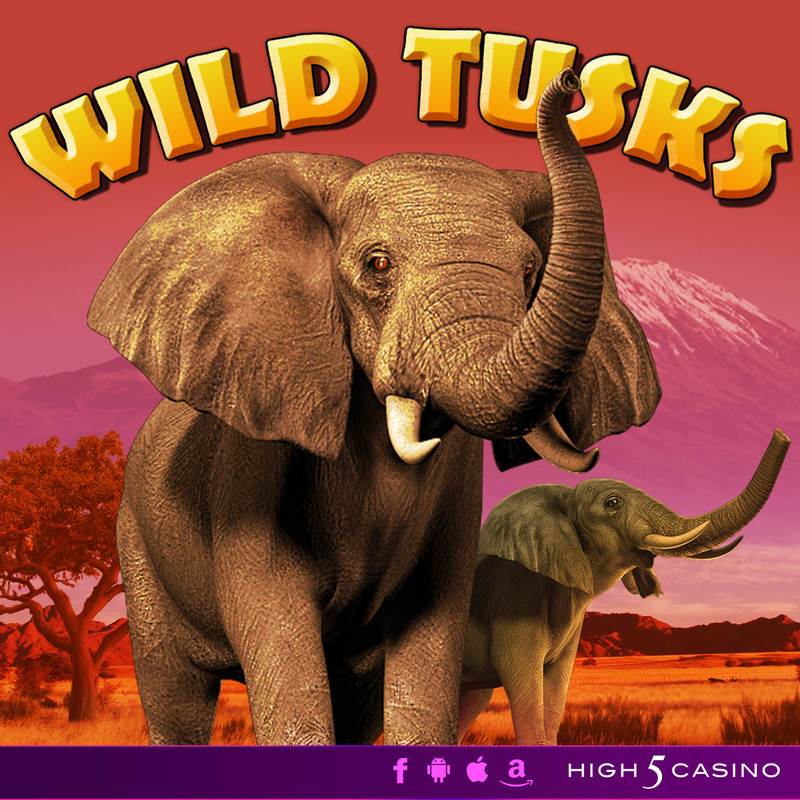 Take this memorable trip to the African plains where wild animals and massive riches roam about in Wild Tusk! Are you ready to unleash the nature of winning with Expanding Wilds, the Capture Bonus, and the Jackpot Bonus? Comment in the conversation bubble located on the top right corner of your screen and let us know what you think! This entry was posted in Coming soon, factoids, game preview, Game Release, High 5 Casino, High 5 Games, High 5 Moments, New game, top games and tagged Android, App Store, Apple, Capture Bonus, Expanding Wilds, Facebook, Free Games, game preview, Game Spotlight, Google Play Store, H5C, High 5 Casino, High 5 Casino Mobile, High 5 Games, iOS, iPad, iPads, iPhone, iPhones, Jackpot Bonus, mobile gaming, Player Spotlight, Safari, slots, social gaming, Wild Tusks by hoothigh5. Bookmark the permalink.